In 1886, 50 years after the Battle of San Jacinto, Austin painter William Henry Huddle set out to interpret a critical scene from the conflict with his painting, The Surrender of Santa Anna. 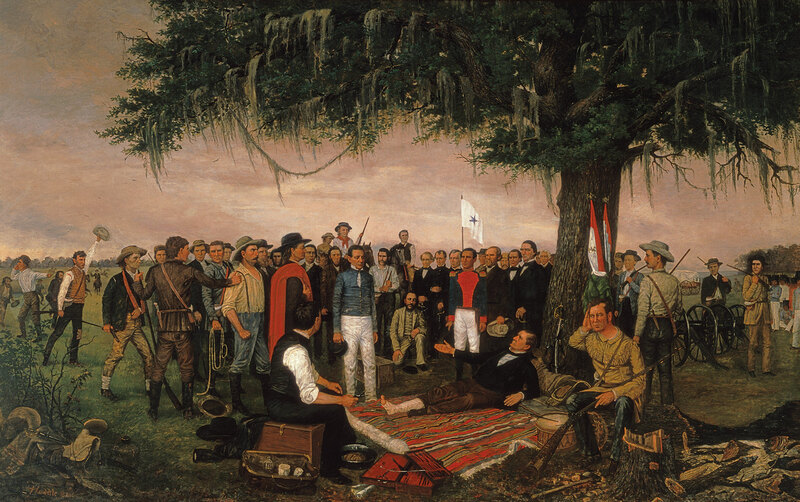 Huddle’s oil-on-canvas work, which has hung in the South Foyer of the Texas Capitol since 1891, depicts the morning after the April 21, 1836, clash as Texian fighters presented Mexican Gen. Antonio López de Santa Anna, dressed in the white pants of a private, to Texas Gen. Sam Houston, who is reclined with a battle wound to his leg. The decisive victory secured the rebels’ independence from Mexico, a turning point Texas honors annually on April 21, known as San Jacinto Day. Huddle’s painting includes more than 30 historical figures, among them scout Erastus “Deaf” Smith (seated on a log), Secretary of War Thomas Jefferson Rusk (to the rear left of Houston), and Col. Mirabeau B. Lamar (left of Rusk). Know of any fascinating vintage Texas photographs? 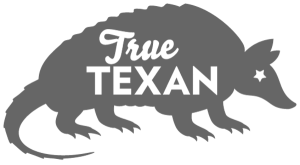 Send copies or ideas to letters@texashighways.com.